For ( giving or receiving ) any advice, suggestions or to share any thoughts with me, Mail Me! I no longer use any Amazon affiliate links in this blog. No, it’s got nothing to do with me being an honest person! Not that I’m saying I’m an honest person. Me being a humble person, I can’t say that! Anyways, the fact is Amazon kicked me out of their affiliate program. Because I failed to make any sales within the stipulated time period. The site used to use the WordAds program to display ads. But I no longer use it. Because at the rate I was making a single dollar, it would take me ages to make the $100. The $100 is the minimum amount you need to receive the ad payment. I just don’t believe I’ll live that long to enjoy this hard earned money! So I quit the ad program. The contact forms collect only the requested information that you provide. This information isn’t used for anything but to reply if you have submitted a question or interest in talking to me. The cookies on the site are used to ensure normal website functions. These cookies cannot be switched off because the website wouldn’t work properly anymore. If you leave a comment on the site you may opt-in to saving your name, email address and website in cookies. These are for your convenience so that you do not have to fill in your details again when you leave another comment. Your personal information will not be sold or shared with any third parties under any circumstances. Unauthorized use and/or duplication of this material without express and written permission from this site’s author and/or owner is strictly prohibited. 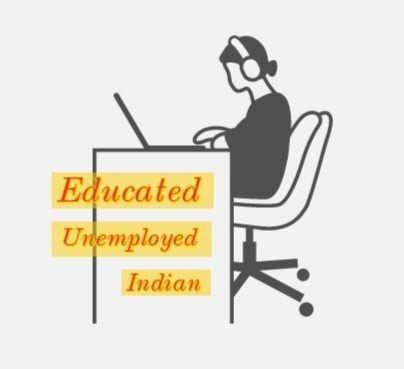 Excerpts and links may be used, provided that full and clear credit is given to Binita Bora and Educated Unemployed Indian with appropriate and specific direction to the original content.